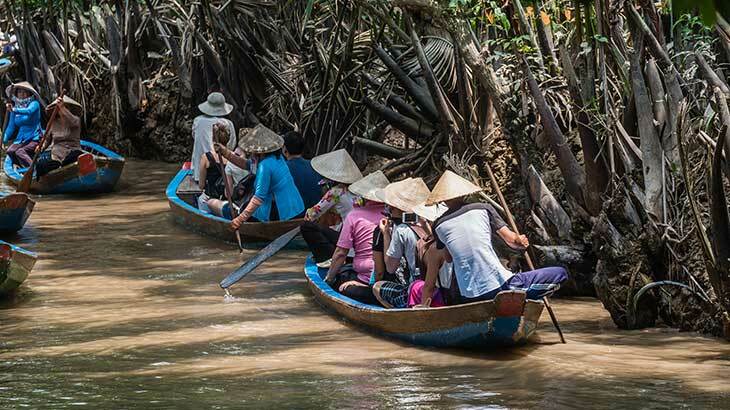 The Mekong Delta is a maze of rivers, lakes and swamps. 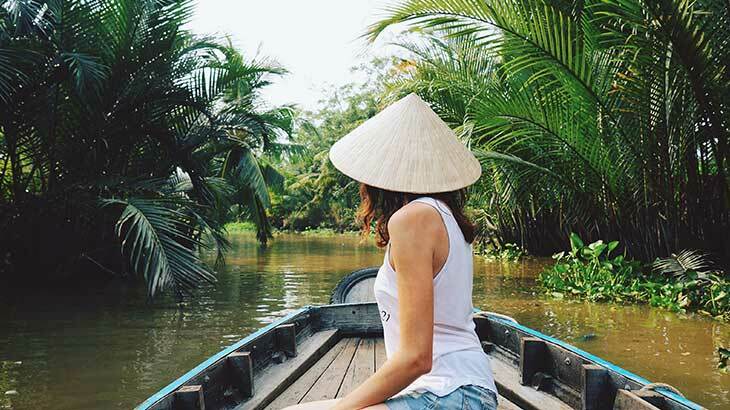 Supporting 60 million people and flowing through 6 different countries, from floating markets, rice paddies, local towns and busy cities, the mighty Delta is a bucket list destination in South East Asia. 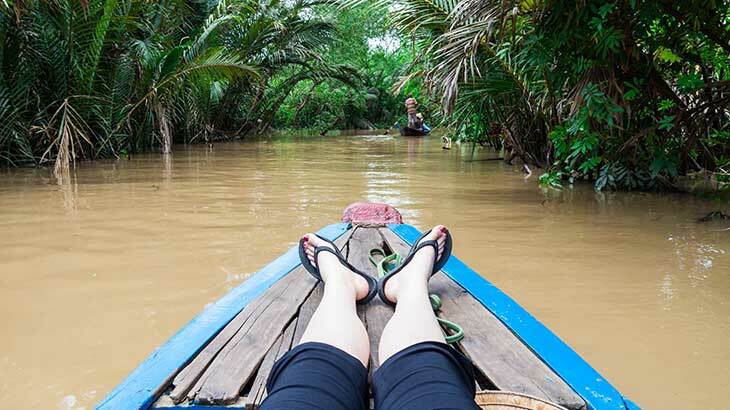 The best way to see the Delta is via boat so here are our top 10 sees and dos while cruising the Mekong Delta. 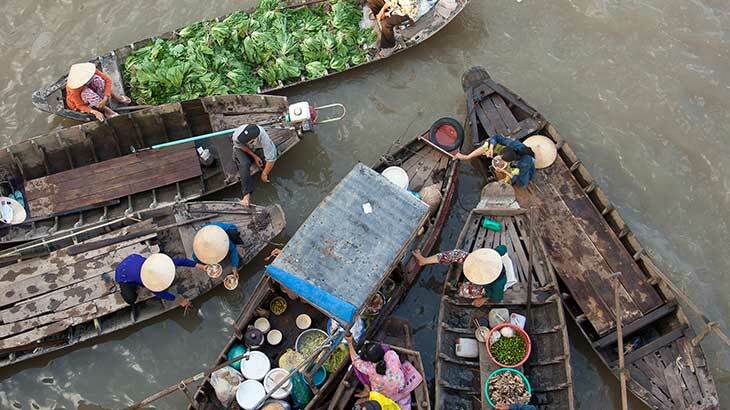 The Cai Be floating market is the largest floating market on the Delta. 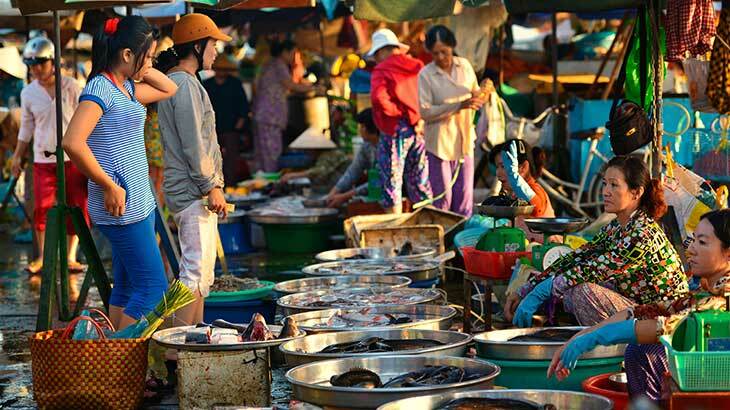 Local traders rise early and set sail to sell their wholesale goods to smaller traders. Be sure to look out for the long pole attached to each boat, the produce tied to the pole identifies what each trader is selling. The best time to visit the market is bright and early before the heavy crowds set in (and the heat starts to kick in too), we suggest between 6am-7am. Sampans are an extremely common and popular type of small boat used along the Mekong Delta, they can range in size and power. Smaller Sampans suit individuals or couples whereas the larger sampans can have two sails and transport a whole crew. 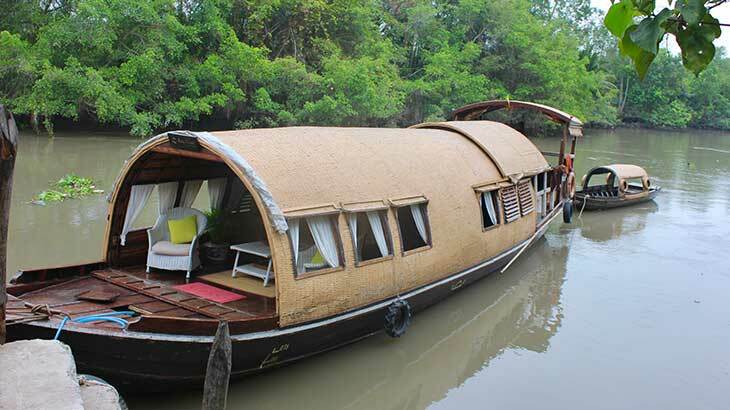 Sampan day trips are the perfect way to glide along canals and backwaters, cruise past local villages, lush palm trees and stunning green foliage. Step back to colonial times in Sa Dec, this small sleepy town is filled with a charming romance. Wander the French influenced streets to the river side markets, these authentic markets offer fresh seafood, fruits, vegetables and daily baked bread. 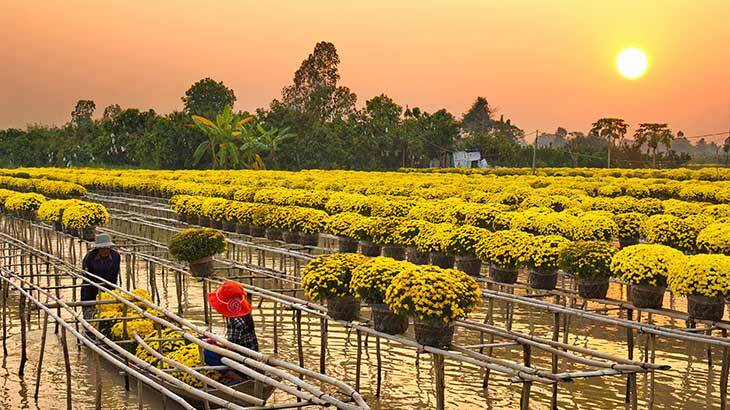 Flower nurseries also line the river and canals in Sa Dec, each offering different assortments of flowers with marigolds and roses being a speciality. 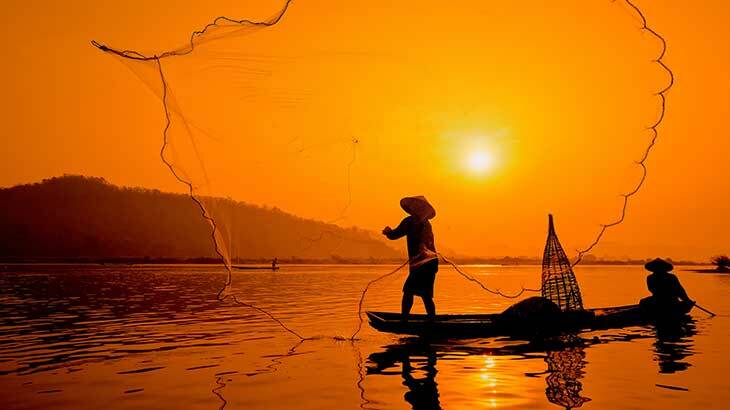 Admire the hard-working locals who have mastered the art of fishing with freshwater fish nets and wire baskets surrounding their home. 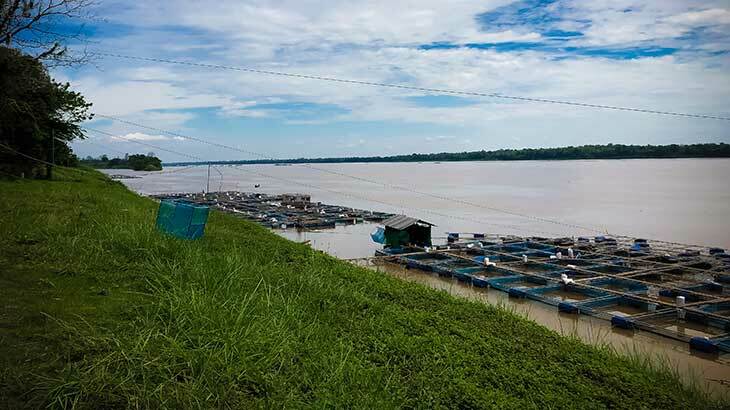 The local farmers and their children tend to the fish with catfish and tilapia being the main catch. Some fishing villages are entirely on water, with locals living in floating houses, these vary in size but tend to be colourful houses on floating platforms strung together with bundles of bamboo. 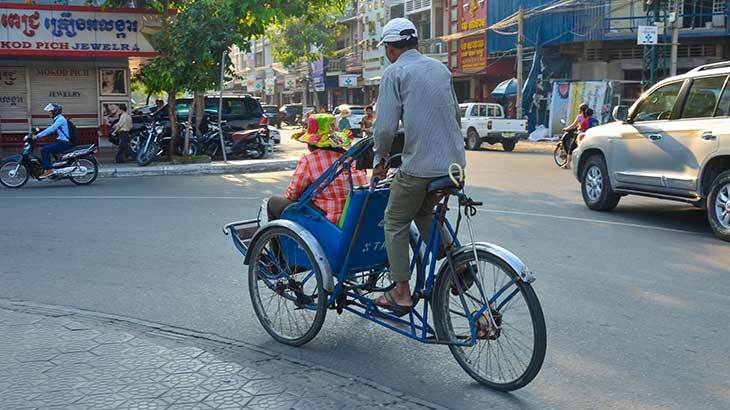 Rickshaws (also known as cyclos) are bicycles with a shaded seat in the front for passengers, they are common in Phnom Penh and are a great way to see the city at a slower pace. 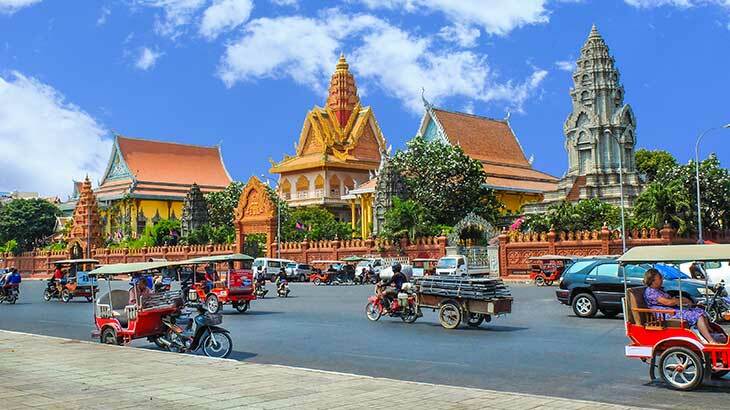 Get amongst the busy streets while taking in the cultural habits of the local people. The best part is that you can tell your dive to stop whenever a great photo opportunity arises simply say Som, chop tee nee (please stop here). 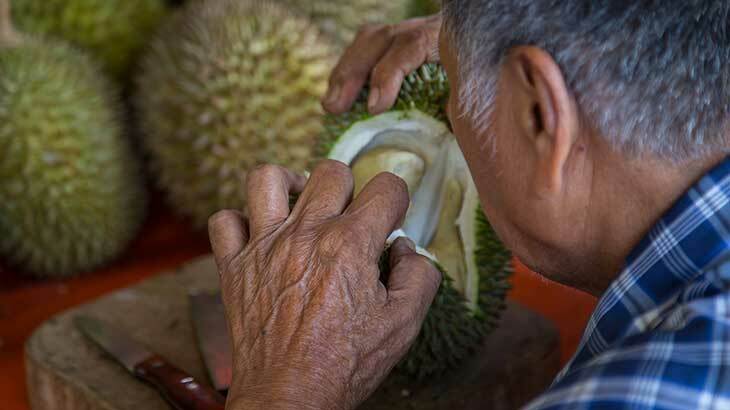 The durian, referred to in South East Asia as the ‘King of Fruit’ is titled for its thick and large skin, potent odour and thorn covered husk. 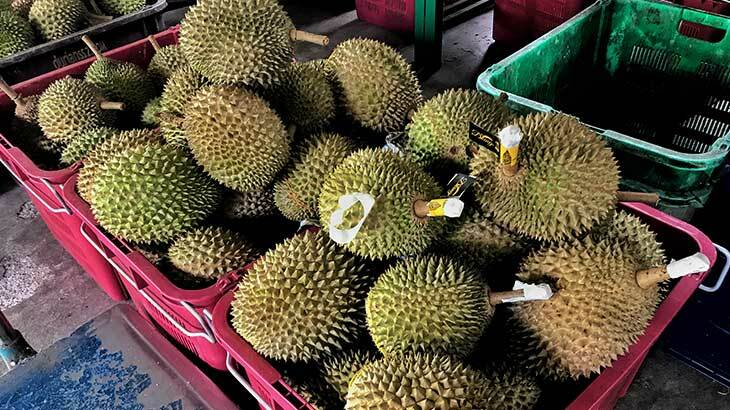 The Durian has a strange and complex flavour, with a combination of savory, sweet and creamy explosions in the same bite. As we all know a bite is worth a 1000-words so be sure to give the King of Fruit a taste while visiting the Mekong. 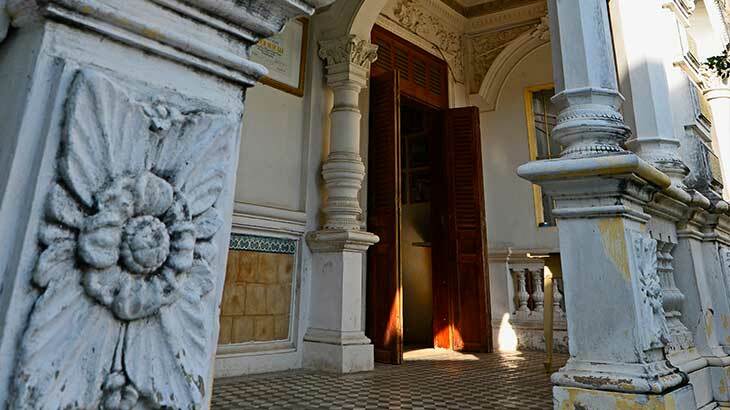 Made famous by French novelist Marguerita Duras who wrote the famous ‘The Lover’ while living in the house. Visit this architectural wonder in Sa Dec and be taken away by the large ancestral altar as you enter the house and admire the intricate wood carvings and decorations throughout the interior. 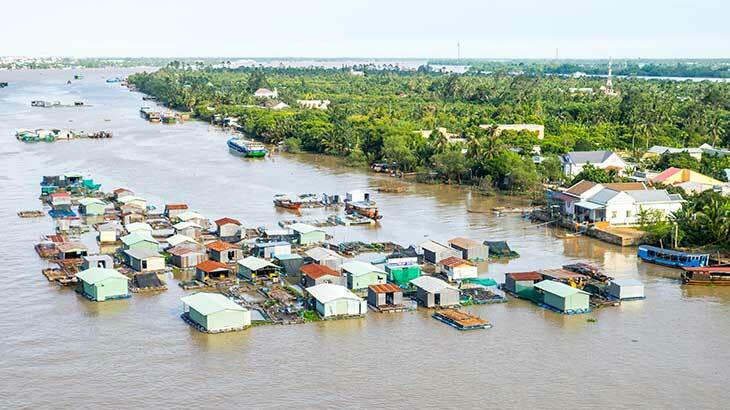 Spot water buffalo wading through fields, fishermen searching for the perfect catch and locals cruising on the Tonle Sap river on your way to the lake. 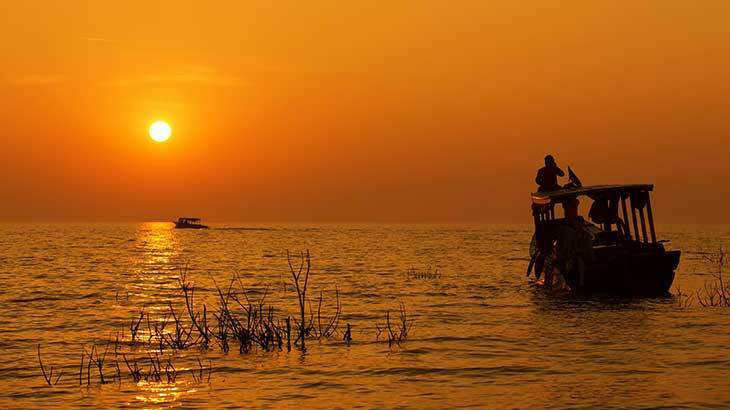 The Tonle Sap Lake itself in 1997 was designated a UNESCO biosphere reserve, home to over 140 different species of fish. Take photos but remember to enjoy yourself! 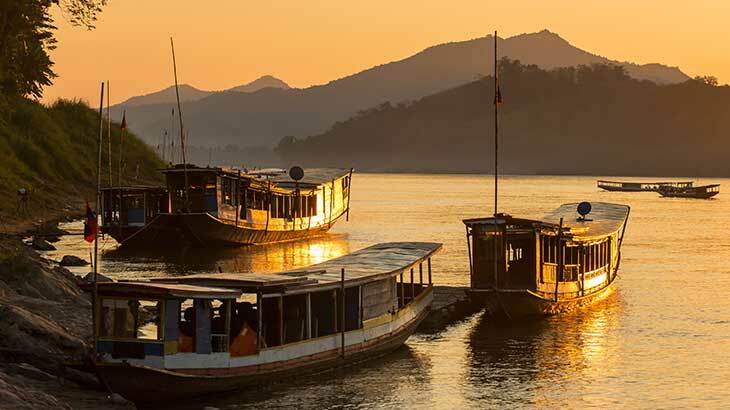 While we agree it is amazing to have photos to make our family and friends jealous, remember while you are embarking on your Mekong journey to be respectful of the local people. 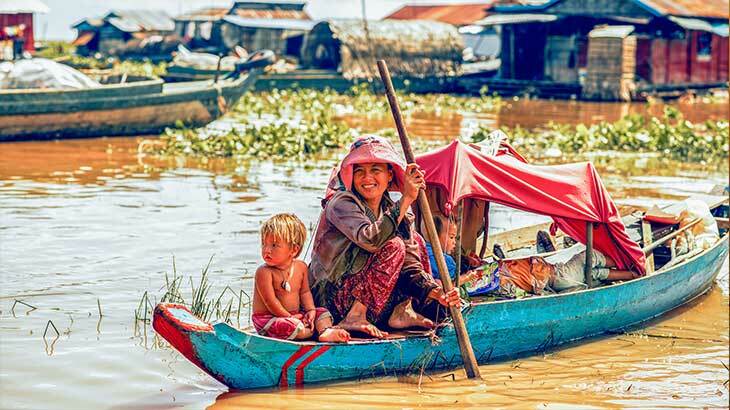 Indeed, they may not want their photo taken but also live in the moment and experience the Mekong in front of the lens rather than behind it. After all this on foot exploring it can be incredibly refreshing to return to your boat for a relaxing evening. Enjoy a cocktail or read your book as you drift along the calm waters recharging yourself for whatever tomorrow holds. 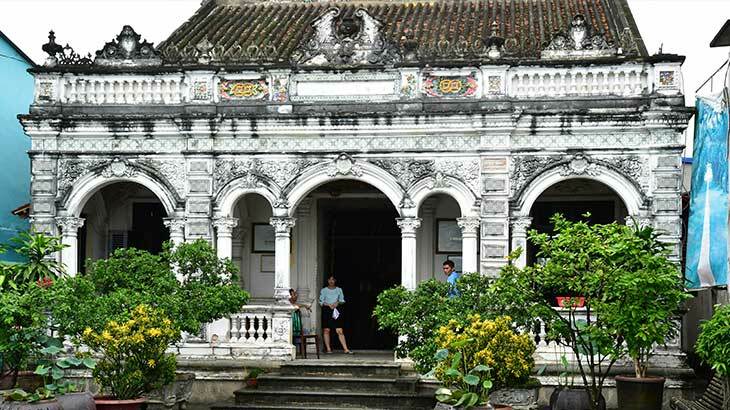 Visit the Mekong Delta on most of tours of Vietnam. 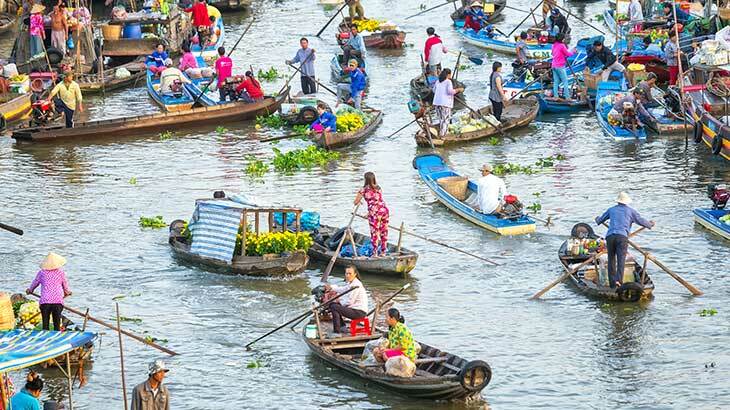 To get there, fly Vietnam Airlines to Ho Chi Minh City, then connect down to the Delta by road.